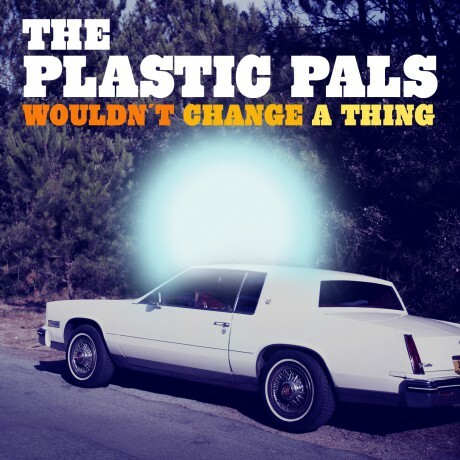 The Plastic Pals | Tighter than Willy Deville´s crocodile boots. Twin-guitar psychedelic garage powerpop from Stockholm, Sweden. Hey, this site´s been down for awhile, due to various reasons. 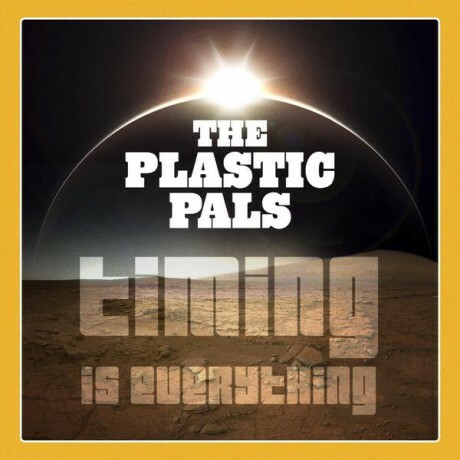 But now we´re back on track to give you news – older and newer ones – about what´s going on in the Plastic Pals world. Starting with a great review from October 2019. 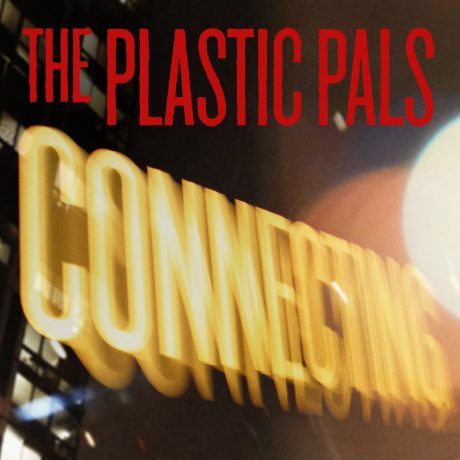 This weekend The Plastic Pals are returning to London to play at What´s Cookin´in Leytonstone. And we will also play in Southend for the first time. Both gigs with our pals The Lucky Strikes. 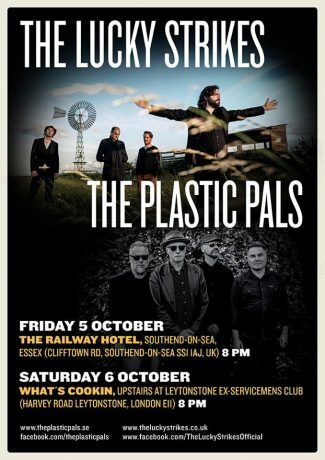 Friday 5 October: The Railway Hotel, Southend-On-Sea. Saturday 6 October: What´s Cookin´, Leytonstone, London. 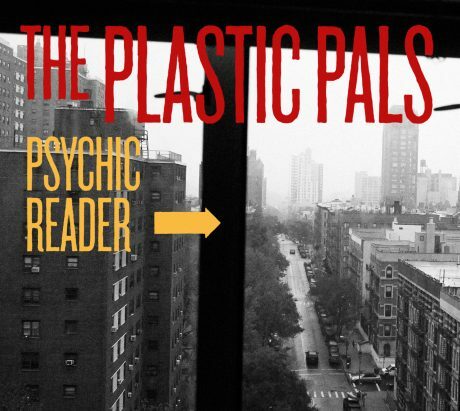 Recently we released a new single Connecting from upcoming album Psychic Reader. It´s out on all major streaming and download platforms. And it´s being played on radios around the world. 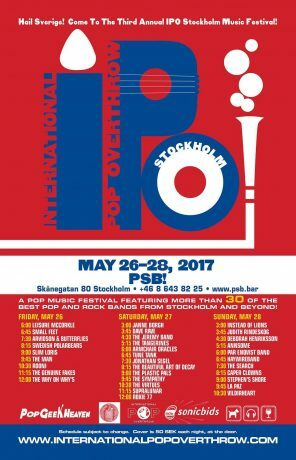 This weekend – 26-28 May – the American festival International Pop Overthrow (IPO) comes to Stockholm. Several great bands on the menue. And The Plastic Pals are on the bill. Friday 28th October we´re back in the saddle gigging. 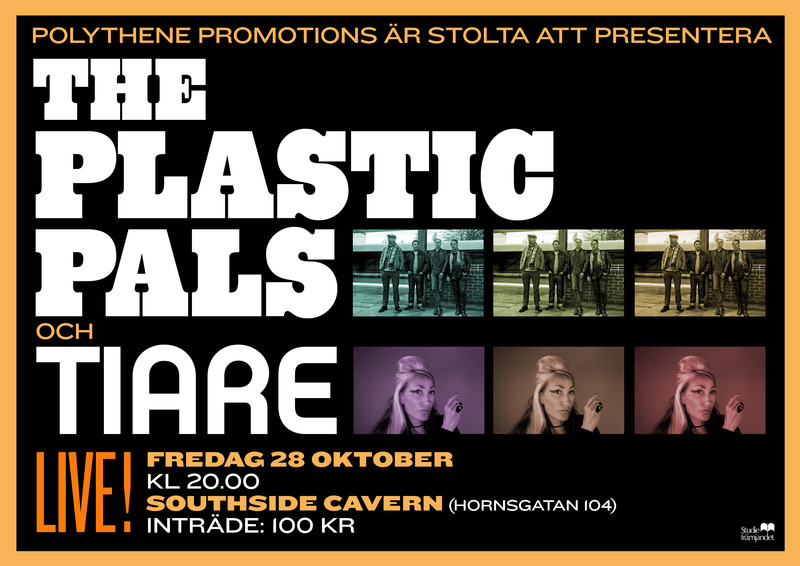 We´re playing at Southside Cavern in Stockholm. Joined by Jonathan Segel (Camper Van Beethoven) on fiddle. Plus we have the honour to have the wonderful chanteuse Tiare Helberg with band as our opener. “Wouldn’t Change a Thing brings to mind Willie Nile at his anthemic best, burning, blues-infused guitars fueling a creepy, phantasmagorical tale.” (New York Music Daily). 22 April we release a new single, Wouldn´t Change A Thing (from album Turn The Tide). But before that there´s two Hawk solo gigs: on Radio P4 Sjuhärad today at 11 am GMT +1 and tomorrow at Club Divine Intervention in Borås. Friday 27 November we jump on a plane to Milan to play our first ever gig in Italy. 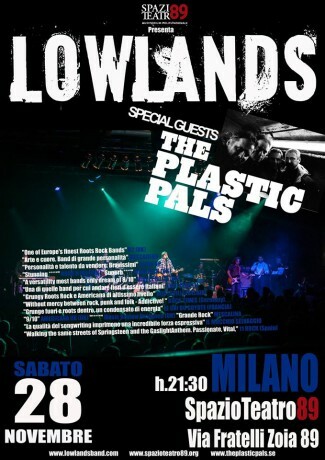 Saturday 28 November we play Spazio Teatro 89 in Milan with our friends, the amazing rock amerciana band Lowlands, who came to play with us in Stockholm 2013. So this is the second leg in the Sweden-Italy musical collaboration between the two bands. New single release – plus gigs this Autumn…. New single release today – Timing is everything. 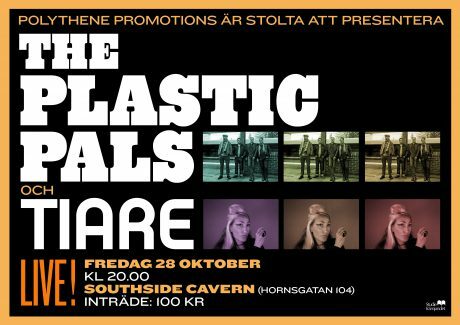 Plus new gigs added to our tour plan: Stockholm, Sweden 22 August, Örebro, Sweden 4–5 September, Eskilstuna, Sweden 18 September and Milan, Italy 28 November.